We live in an economy where the service experience is everything. Be it deploying operational messaging to deliver exceptional service moments, or checking in on the customer's experience, Swrve makes it easy across all your digital touch points. APIs, pre-built connectors, and an integration framework make it easy for enterprise operational systems to integrate with Swrve and roll out end-user operational messaging. Today Airlines use Swrve to message flight updates to passengers. 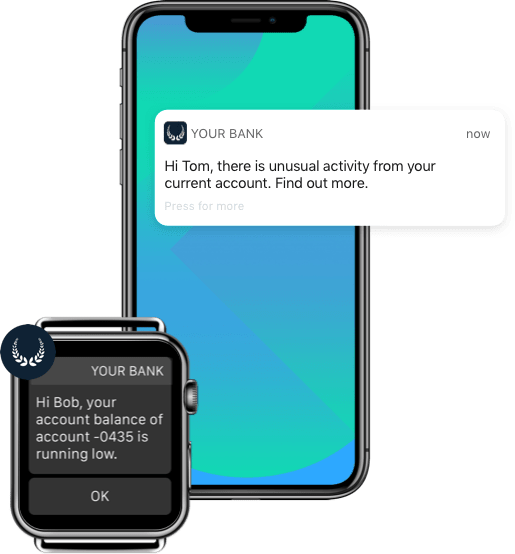 Banks send balance and account alerts to their customers. In each case, messaging enhances the service experience. Can you track customer satisfaction across channels? Checking in with customers, and tracking their satisfaction, is core to every business. In the past, when consumers just used web and email, checking in was straightforward. Today's multi-channel customer is entirely different. 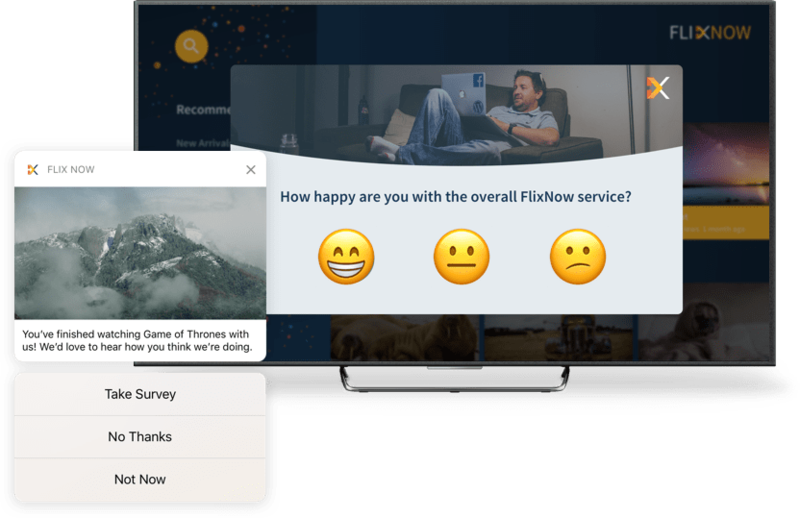 Only with Swrve can marketing teams orchestrate and track customer satisfaction across a multitude of channels mobile-apps, SMS, web apps, email, and over-the-top (OTT) video streaming apps on Apple TV, Android TV, and Roku. 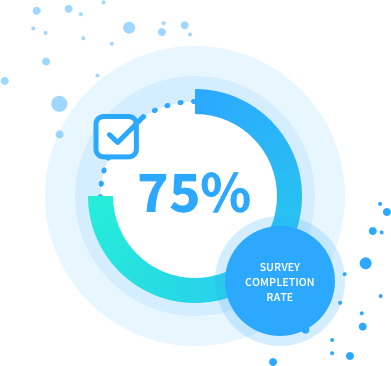 A major flaw with most Customer-SAT surveys is that they arrive by email, days or weeks after an event. As a result, only a tiny fraction of people ever respond. To transform response rates, Swrve lets marketing teams track Customer-SAT both in the channel and moment of use. If a user uses a new feature in a TV video streaming app for the first time, get their feedback. When a customer exits the branch, check up on their experience. App store ratings have a direct impact on the number of new installs. Poorly rated apps don't grow. Marketers use Swrve to maximize App Store ratings. First, they segment the appropriate users to ask for a review (e.g., people who've used the app > five times). 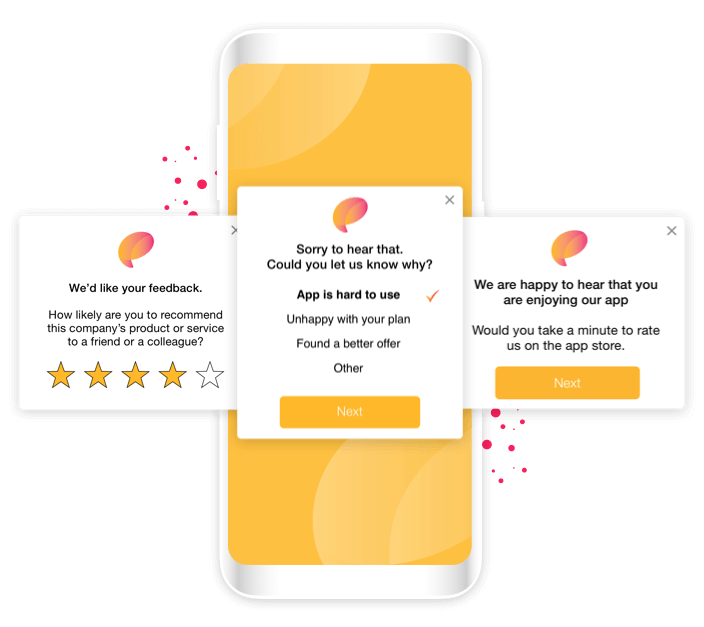 An in-app message delivered at the optimal moment asks users how they are enjoying the app. Positive responders are invited to leave an App Store review. Negative responders are surveyed to find out what the issue is. App Store rating campaigns typically double average rating in a matter of weeks.